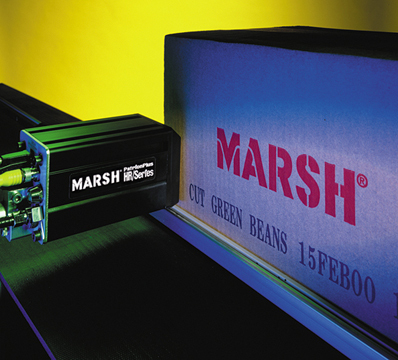 The Marsh PatrionPlus large character printing system is designed to meet your expanding needs. The advanced printer engineering in this system has unique print head ranges that allows you to meet numerous production line request with the adaptability to print dot matrix or fully formed, high-resolution characters from one printing process system. Large ink supply requires fewer changes for longer up time, and reduce overall cost per code for cost-efficient assembly.